Pfc. James D. Eledge, son of Mr. and Mrs. J. S. Eledge, graduated from Tipton High School; husband of the former Margie Harrison. Entered service in March, 1944, trained in Camp Robinson, Ark. 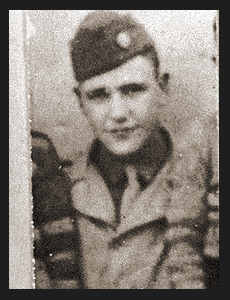 ; went overseas in Oct., 1944; served in Austria and Italy. Awarded ETO Ribbon with two Battle Stars.